LG Solar have understated their achievements in the solar world. Their focus has been not on big targets and flashy marketing campaigns, but on getting the core of what we do right – solar. LG has a consistent habit of understating their specifications. This is uncommon amongst major manufacturer’s and speaks volume when we consider that LG Solar also has a habit of putting out some of the highest performing panels in the world. Apart from continually setting the standards for quality, LG has focused on setting up a national installer network showing that they understand not just what makes a panel, but also every aspect of what goes into a high performing and long lasting solar installation. Making a leading edge solar panel is hard work. Solar is by far a new technology and cutting edge advancements are hard to find. LG is no stranger to this having started research and development in 1990’s after acquiring South Korea’s earliest PV research company, Goldstar (which started in 1958). LG is one of the largest private companies in the world. Why does this even mean anything? Because shareholders aren’t demanding immediate profits. This allowed them to perfect engineering before starting mass manufacturing in 2010. As a seasoned solar installer, researching LG is a humbling experience. LG had solar streetlights in 1998. That’s around about the time Trina started making their first panels. They then spent nearly 10 years – and I mean 10 years – perfecting R and D including operating a 14MW solar farm. At the same time, many manufacturers became the ‘largest manufacturer in the world’ or ‘the highest performing panel this month.’ From looking at LG’s company history, they just kept researching – and hitting significant lab goals. By 2012 they were producing 400MW per year with a supply chain reaching across 32 countries. In the same year, they achieved a p-type cell efficiency rating of 20.7% which sent the first firm message to the public, that they were capable of putting out not only the world’s best cells but doing it at massive scale. 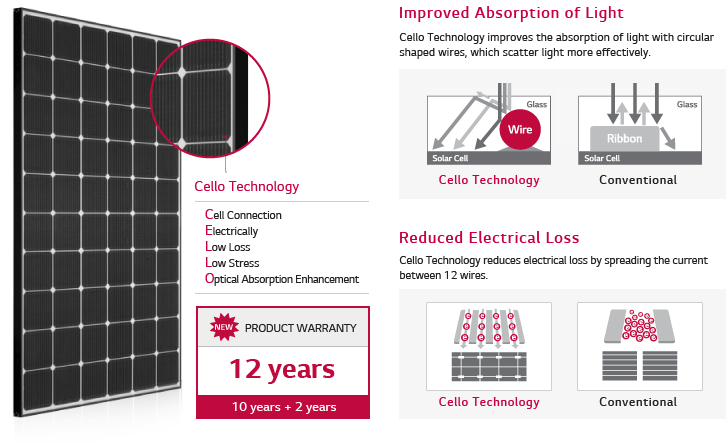 In 2013 LG Solar released the Mono X Neon n-type module at 300W across 16 cells and won the 2013 Intersolar award for their efforts. Since then they have only increased the pace of their improvements with circular wires and reflective back coating architecture. This has led to Intersolar awards in 2013 and 2015. 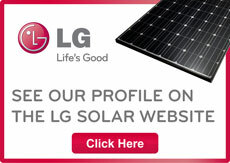 LG is also the current highest performer in Choice Magazine’s solar panel review. LG is experiencing strong sales growth due to their focus on quality backed by a warranty which no other solar panel manufacturer can match. LG move roughly twice as much revenue as BHP. They have 6 major divisions covering electronics, displays, wireless, chemistry, biotech and solar. They are also one of the largest privately owned companies in the world. This just may be why they can consistently hit R and D targets rather than succumbing to shareholder targets. LG have a number of patents on high-end production techniques which have been incorporated into their very high-end Neon series. These Neon panels feature excellent performance under low light conditions and offer some of the highest efficiency per square meter results in the market. Want to put as much power into the smallest amount of space possible? LG Neon’s are THE answer. LG Mono X range run up to 285W and are their current ‘mainstream’ offering. 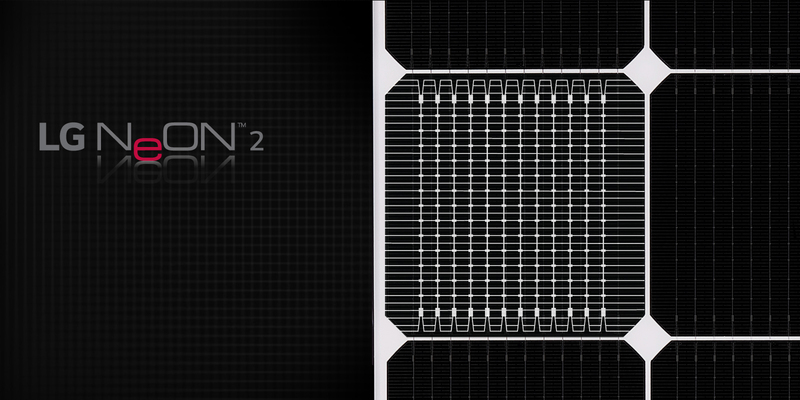 These are also highly efficient panels with excellent build quality all backed by a diversified electronics giant. 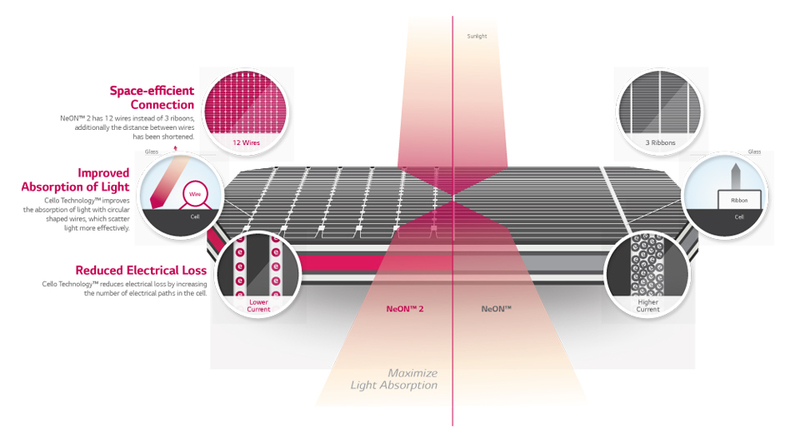 What separates an LG Solar Panel from the rest? LG is one of a very small number of manufacturer’s which offer a parts and labour warranty. If we compare them to Trina, it’s 10 year’s parts only versus a mammoth 12 years parts and labour. LG solar panels have a screwed and powder coated frame vs a typical, folded, aluminium China edge. They also come straight off a completely automated world leading assembly process that results in a pressed frame over the typical ‘silicon’ edging that is found on so many cheaper solar panels. One of the main things we have noticed with LG is the attention to detail in every aspect of the chain. This includes packaging, delivery and quality assurance. Every single panel that we have installed is accompanied by a factory test sheet which shows the panel ‘flash testing’ at up to 4 watts above its stated output. Ecoelectric offers a range of systems using LG solar panels – in both Mono X and Neon. Request a free quote or browse our online store.